Now, I don’t want to get into the Apple OSX vs Microsoft Windows debate……there are enough forums and websites where die-hard Apple fans wage war on anything Mr Gates touches and others where Mr Jobs is public enemy number 1…….and that’s without Google and it’s Chrome OS coming around the corner! I got to see an ‘Advanced’ specification document and I have to be honest, if it releases in any way near as good as the spec, this is a winner! 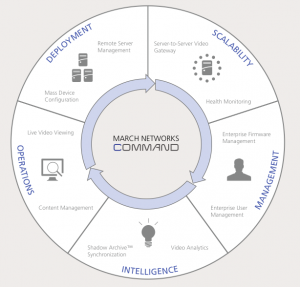 Instead of a bespoke and installed software platform, it looks like March have decided to go a web-based platform…….this makes sense….less overhead on the PC, able to be run on systems where perhaps IT restrictions do not allow certain software……and most importantly……not Microsoft dependant!!! AT LAST! Offering compatibility with Microsoft Windows, Mac OSX and I would guess, Linux/Unix and Chrome (when it launches) this means that the end user has the ability to view their system, irrespective of PC OS. 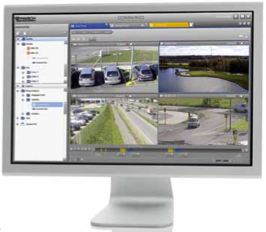 Another interesting feature, which I hope is as it states, ‘Video Analytics’……..hopefully, this means Analytic capability on their HD/Megapixel cameras which so far have probably hampered March camera sales…….interesting idea to take the technology to the PC instead as this allows greater flexibility in camera selection…… Autotracking is not mentioned, I guess that means their XDome IP range are still the main driver for that Analytic? 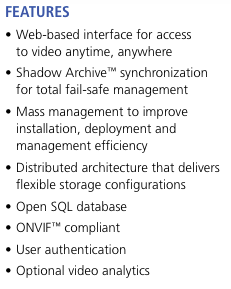 Shadow Archiving is listed, one of the innovative features of March Networks where gaps in recordings are auto-filled upon network resumption – truly a great feature for all the ‘network down’ concerned brigade! 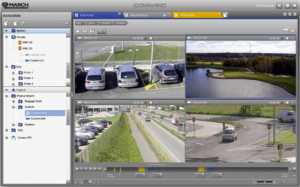 Of course, once I do get the chance to have a good play with Command, watch out on Integrated CCTV for the review! March & Infinova - a perfect union? Security Products - stick to what you know or go with change? This entry was posted on Tuesday, February 1st, 2011 at 06:17	and is filed under Analytics, IP cameras, IP CCTV, iPhone. You can follow any responses to this entry through the RSS 2.0 feed. Both comments and pings are currently closed.